CabinetPro is well known for being the leading UK manufacturer of Stainless Steel and IP rated shop floor PCs. Our many years of experience have made our PCs arguably the most reliable on the market and now this technology is available to those building their own panels or enclosures in the form of our vesa-mount panel PC. This provides customers with our integrated PC and ELO touchscreen monitor, as used in our own enclosures, that can be built into control panels, kiosks or industrial applications. All our PCs use quality branded parts and are assembled in the UK. 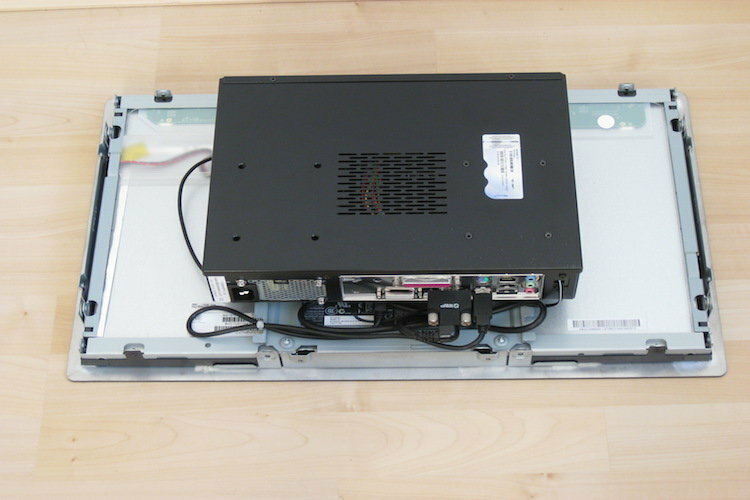 Mounting is via a standard vesa mount and all components can be dis-assembled and serviced individually. Comes fully built with Windows operating system and disc.